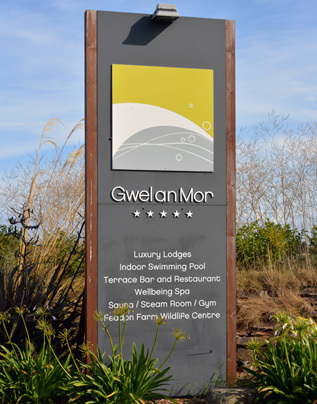 The resort of Gwel an Mor in Cornwall is well known as a five star luxury holiday resort. With its close proximity to the beach and local areas of natural beauty. It also benefits from the warmer Cornish climate and the outdoor activities that come with it. Gwel an Mor is rightly seen to be one of the premier holiday destinations in the south-west of England. The resort has a commitment to quality and luxury as standard and wanted to add to its range by creating a series of high quality modern eco-lodges that could be purchased as residences and not only rented as holiday homes. The aptly named The Residence project was put in to action with the remit of providing chic, luxury lodges that would fit in with the existing resort environment but be made for longer use. Uniquely for the UK, The Residence offers buyers the chance to utilise a Fractional ownership scheme. Which allows users to own a minimum of one twelfth of a lodge without specific time restrictions as is usually associated with time share. 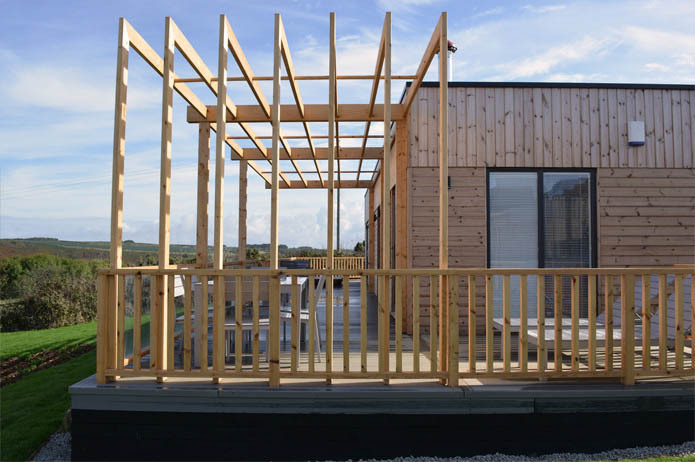 Truro based SIPS and timber construction company Building with Frames was appointed to build the next phase of lodges and an initial seven lodge project was scheduled. As part of the lodge-building process there needed to be deck as a focal point for the front of the lodges, complete with a hot tub. The design for the lodges are contemporary with high specifications throughout. Externally, features such as bi-fold doors and an eye-catching angular timber pergola are designed to be standard. The decking therefore had to fit in with the modern luxury of the rest of the lodges. Timco Wood was invited to tender for the decking portion of the project due to our being known as an eco-friendly product and our FSC® certification. 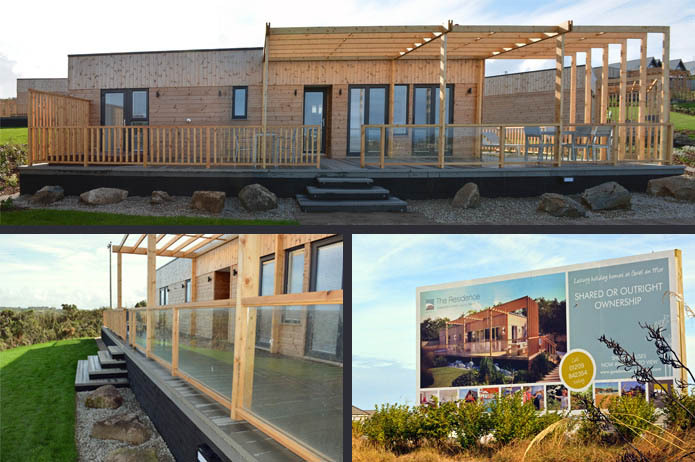 We delivered samples of all of our products to Building With Frames and discussed our composite decking, installation and how it would fit in with the design of the lodges. The team was impressed not only with our composite decking but in our commitment to form partnerships with clients and work with them throughout each stage of the project. By being involved at the planning stage, we were able to make a co-operative schedule, and our target was to deliver call-offs as they were required on site. Building With Frames were given a dedicated account manager to act as point of contact, which is something we do with all long-term projects to ensure they are handled efficiently. At Timco Wood we aim to keep high stock levels of all of our core products in our warehouse in Stevenage. This is so we can reduce lead times and facilitate both larger and ad hoc orders for our clients when they arrive. The Gwel an Mor build itself was completed over a six month period with call offs occurring throughout the build process.We attended site upon completion to further enhance our working relationship with Building With Frames. This is something we offer to all clients as it also enables us to iron out issues that may have arisen and streamline our processes. Strengthening our commitment to efficiency and quality for the benefit of our customers. The initial seven lodge run was a great success with all units sold and the buyers, builders and ourselves very happy with the turnout. We have enjoyed forging the relationship with Building With Frames and being involved with another prestigious UK project. We look forward to planning the next run of lodges scheduled for an Spring 2015 completion.